The Armstrong Browning Library (ABL) recently created a Three-Month Research Fellowship for leading scholars from outside Baylor. Professor Dino Felluga was the inaugural fellow in fall 2017. This year, the library again received applications from outstanding scholars at institutions around the world. 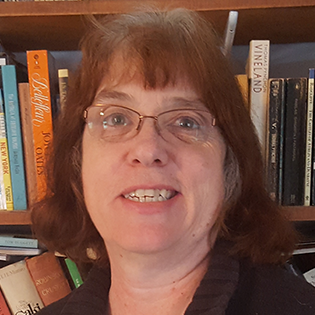 After a rigorous and difficult review process, the ABL has selected Professor Clare Simmons (English, Ohio State University) as the recipient of this fellowship. Prof. Simmons will begin her residency in fall 2018. Prof. Simmons is one of the foremost scholars of nineteenth-century medievalism. Her extensive publications include three books, Reversing the Conquest: History and Myth in Nineteenth-Century British Literature (Rutgers UP 1990), Eyes Across the Channel: French Revolutions, Party History and British Writing 1830-1882 (Gordon and Breach/Harcourt Academic Publishers 2000), and Popular Medievalisms in Romantic-Era Britain (Palgrave Macmillan 2011). In each of these monographs, her use of archival material is exemplary and revelatory. Reversing the Conquest and Popular Medievalisms both contribute to our understanding of how nineteenth-century Britain used conceptions of the medieval period in scholarship and literary production, and Eyes Across the Channel illuminates how the British people conceptualized history, their relationship with France, and the French Revolution-and the effects of those conceptualizations on British identity and nineteenth-century literature. Other valuable contributions to the field include her editorship of the frequently-cited collection Medievalism and the Quest for the "Real" Middle Ages (Frank Cass 2011) and Charlotte Yonge's The Clever Woman of the Family. Her many articles have appeared in a wide range of journals and edited collections, including The Year's Work in Medievalism, Wordsworth and the Green Romantics, The Cambridge Companion to Medievalism, The Wordsworth Circle, Studies in Medievalism, The Cambridge Companion to Medieval English Literature, Prose Studies, Medievalism in the Modern World, Scottish Literary Journal, Nineteenth-Century Contexts, Genre, and Poetica. In addition to pursuing her own research, Prof. Simmons also fosters the research and development of other scholars in multiple capacities. She promotes interdisciplinary scholarship and exchange through the Interdisciplinary Nineteenth-Century Studies organization (INCS), for which she has served as board member, vice president, and president. As the editor of Prose Studies since 2012, she has helped encourage diverse lines of inquiry and publish emerging scholars. Furthermore, as the director of undergraduate studies for the Ohio State English department since 2013, she has invested in the education of undergraduates and is passionate about connecting with them. Prof. Simmons also enthusiastically shares her research in a variety of ways, including interactive workshops and engaging presentations. Prof. Simmons's history of engagement, rigorous archival research, and impeccable scholarly record all make her exceptionally qualified for this fellowship, and the ABL looks forward to welcoming her this fall. While at the ABL, Prof. Simmons's main research project will be to complete a full draft of a book on "festive medievalism" in nineteenth-century literature and culture, or the justification of joyful celebrations through some claim to medieval origin, which is in turn involved with competing models of the calendar year and its seasons-as found, for example, in the Anglican Christian year, English festival year, and pagan solar year. The ABL will be an invaluable resource as she examines Robert Browning's poems and reception, letters related to the Tracts for the Times and John Henry Newman's Lives of the English Saints, and references to times of year and festivals in the library's many other archival sources. She also plans on crafting a digital archive that will highlight May Day festivity illustrations, some of which will be found in the ABL's materials. The ABL is uniquely situated to support these efforts because of its outstanding resources for the study of nineteenth-century literature (especially poetry) and culture and because of its commitment to engaging scholars and the public with these resources. During her residency, Prof. Simmons will also interact with graduate and undergraduate students as well as faculty by giving a talk on her May Day research, offering related workshops, and sharing results of her research with the public as well as other scholars.